When you're developing your list of key words, begin by including all of the buzz words that relate to your field. To develop your list of keywords, begin by including all of the buzz words in your field. This would include the jargon, lingo, technical terms and nomenclature in your specialty. List the current hot terms, the standard terms that have been around for a long time, and the new terms which may soon be hot. Once you have your list, decide which ones are appropriate for you. Synonyms. When you list a term, also list its synonyms. For example, if you list Personnel Administration, also list Human Resource Management. If you list attorney, also list lawyer. If you use the word attorney in your resume, make sure that lawyer appears elsewhere in the resume. Acronyms. If registered nurse is one of your key words, make sure that it appears somewhere in the resume as RN. If you are going to use Certified Financial Planner, make sure that CFP appears elsewhere. With the synonyms and acronyms you are trying to cover all of your bases. If the employer uses Human Resources Management as a key phrase, while you used Personnel Administration throughout your resume, the computer may not see your resume as a match and the employer will never read it. If you only use the term Certified Financial Planner but the employer searches only for CFP, you also risk not having your resume viewed. When using acronyms realize that sometimes personnel clerks will perform the initial screening of the resume, and neither they, nor even a human resources manager will be familiar with all acronyms in all fields. In principle, the first time you use an acronym which you suspect not all people will recognize, spell out the acronym and then in parentheses, indicated the acronym. From that point on you can use the acronym without having to spell it out. You will also have ensured that the computer will be able to find both the term and the acronym. 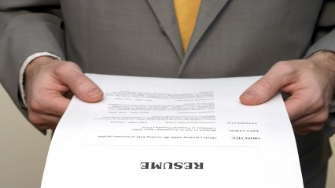 Key words should not be inserted in a resume merely because you feel an employer might look for them. They must truly be somewhere in your background. For example, when computer people list programming languages, some list them in the order of expertise, while others list them alphabetically. When listed alphabetically, it may mean that the person has expertise in the language, it may mean that the person programmed in that language for three months, or it may merely mean that the person took a course in the language. All are justifiable reasons for listing the language. The employer then has the responsibility for determining if you have adequate knowledge or experience. In a telephone or face-to-face interview you must be prepared to present how extensive your experience actually is. With more companies resorting to computerized resume databases each year, it is in your best interest to ensure that your gives you maximum exposure. If you decide to send two copies of your resume, one for scanning and one that visually looks the best, you could attach a note on the scanning resume and write on it, Resume version intended for scanning purposes. What is it Like to Work in an Emergency Room? What is it Like to Work in an Operating Room?